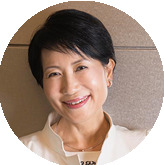 Naoko Ishii has served as the CEO and Chairperson for the Global Environment Facility (GEF) since August 2012. In October 2015, the GEF Council unanimously agreed to extend her tenure for theÂ second term until August 2020. Previously, Ms. Ishii was the Deputy Vice Minister of Finance of Japan, where she was responsible for Japan's international financial and development policies, and for its global policies on environmental issues such as climate change and biodiversity. She led the Japanese delegation at the Transition Committee for designing the Green Climate Fund. For nearly half of her career, Ms. Ishii has served on international assignments, including at the World Bank and the International Monetary Fund. At the World Bank, Ms. Ishii was the Country Director for Sri Lanka and the Maldives (2006-2010). She also served as the World Bank's country program coordinator for Vietnam (1997-2001), a project manager at the Harvard Institute for International Development (1996-1997), an economist at the International Monetary Fund (1992-1995) working on Africa and Asia, and a visiting fellow at theÂ Center for International Affairs at Harvard University (1984-1985). Ms. Ishii taught sustainable development and environment at Keio University. She has published numerous papers and several books, two of which were awarded the Suntory Prize (1990) and Okita Memorial Prize for International Development Research (2004). She is the inaugural recipient of the 2006 Enjoji Jiro Memorial Prize.